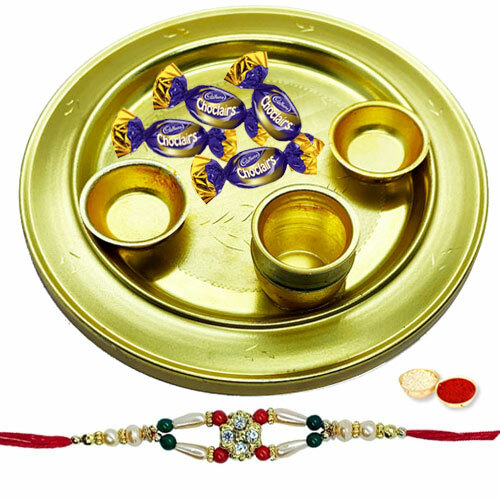 Render cherishable moments of Raksha Bandhan to the people you love by gifting them this Impressionable Gift of Appealing 4 Eclairs decked in a Crafty Silver Plated Thali teamed with a magnificent Rakhi, Roli Tilak and Chawal free of cost. The size of Thali is 5 to 6 inches. The Pattern of the Rakhi may comes with variations.